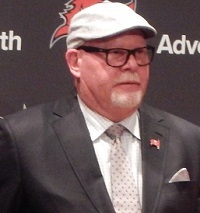 With one eye on the Buccaneer roster and the other on the remaining NFL playoff field, Bruce Arians is formulating his 2019 game plan. The Chiefs, Saints, Rams and Patriots were the top four seeds heading into the postseason and they just happen to be the four highest-scoring teams in the league this season. Given the league’s ongoing love affair with overworked scoreboards, defense-oriented clubs like the Bears and Ravens can only go so far in January. Even with all those downfield completions, the Bucs finished only 12th in scoring offense, averaging 24.8 points. That’s more than 10 points per game less than Kansas City, the only club in NFL history to score at least 26 points in every game during the regular season. If I’m Arians, looking at all those numbers and fully aware that the agenda of the Competition Committee is to generate more points, my first priority is to boost scoring. Let Todd Bowles handle Tampa Bay’s defensive woes, which are well documented. Bowles has been lauded as a defensive guru, so give him a free agent or two and a rookie cornerback who can contribute immediately and let him do his thing. Two culprits loom large on the offensive side of the ball. The Bucs led the league in giveaways and they couldn’t run effectively. It’s no revelation to suggest those two flaws were linked. Tampa Bay threw 26 interceptions, also an NFL-high, putting too much strain on a porous defense. Why so many? A plodding rushing attack rendered play-action ineffective and knocked Tampa Bay’s offensive balance out of whack. For example, the Bucs ran on only 36 percent of their snaps. The Patriots, with a Hall of Famer under center, ran on 45 percent of their snaps. Anybody expecting Jameis Winston or Ryan Fitzpatrick to end up wearing a gold jacket? While it’s true that Tampa Bay’s offensive game plan was occasionally blown up by big halftime deficits, it’s also true the Bucs averaged only 3.9 yards per carry. And it’s also true that the Bucs registered an NFL-low five carries of at least 20 yards. Add in the absence of a single 40-yard run and you have a rushing attack with the fewest explosives in the league. The answer, my friend, is blowin’ in the offseason wind. Jason Licht and his scouting staff have to acknowledge past mistakes in the draft and provide Arians with the proper elements to get this ground game going after three years of futility. Ronald Jones could not have shown less as a second-round pick. He couldn’t catch and his average gain of 1.9 yards was the lowest of any back in the league with more than 11 carries. Put it this way: Jones and Tom Brady each carried the ball 23 times and Brady came within nine yards of matching Jones’ production. Every Buc fan knows the team needs a new starter at right guard, where Alex Cappa couldn’t beat out Caleb Benenoch. That kind of says it all. Arians is already on record as saying this offensive line needs a significant upgrade — and he hasn’t even seen the film yet. Focus on the line and add the right running back and this just might become one of the top four offenses in the league next fall. And if that happens, January could be very interesting. Ira Kaufman began covering the NFL in 1979, as a New York Giants beat writer. He arrived on the Buccaneers beat in 1985. Eventually, the corporate leash was removed from his neck when he joined JoeBucsFan.com in July 2016. The award-winning Ira Kaufman Podcast fires twice per week, and Ira’s columns appear thrice weekly, except when Ira is on special assignment. 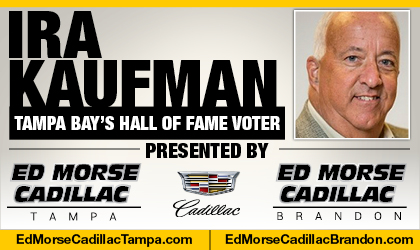 Tampa Bay’s only Hall of Fame voter also is a popular guest on various national radio and local TV programming. Why is Ira wearing a No. 4 Bucs jersey??? 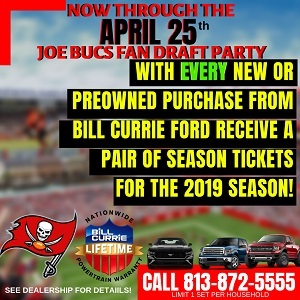 TAMPA TWO marches toward the Super Bowl, and in this episode Bucs legend Derrick Brooks and Ira Kaufman dive into Sunday’s games. TAMPA TWO is presented by Caldeco Air Conditioning & Heating, via The Identity Tampa Bay and JoeBucsFan.com. 1st round, if possible, get Josh Allen-Kentucky. Second round, best CB/OL available. Go out and sign Kareem Hunt to a team friendly one year prove it deal, and have Jones hit the weights and gain some strength in his legs. Great idea! I second that! Btw Dirk Koetter and willie McGinest are at the airport terminal with me. Do you have any questions you’d like me to ask? Lol. Great article Ira. I think it’s an excellent prescription for at best an 8-8 season, but hey, what would you expect from someone with a DEFENSE Rules handle. Using the Chiefs & Patriots as the example of how offense can supersede defense is a great example of cherry-picking IMO. Chiefs were very unique this year (#1 offense in POINTS SCORED but #24 defense in POINTS ALLOWED). Mahonnes had an incredible year (over 5,000 yds passing, 50 TDs, 66% completion rate, only 12 INT & 9 fumbles). Patriots were the standard Patriots (#4 offense in POINTS SCORED and #7 defense in POINTS ALLOWED). Brady had his usual year (over 4,300 yds passing, 29 TDs, 66% completion rate, only 11 INTs & 4 fumbles). BOTH teams have two of the best HCs in the business IMO. So if I understand your ‘solution’ right Ira, you’re proposing to put a band-aid on our #31 defense (464 POINTS ALLOWED) by giving our new DC Todd Bowles “a free agent or two and a rookie cornerback who can contribute immediately and let him do his thing”. Kinda like saying ‘Todd, here’s a turd but we’re gonna polish it a little for you; now turn it into a diamond.’ Uhhh, guess what Ira, that’s the classic ‘putting lipstick on a pig’ argument. Bucs are a MESS, and ‘fixing’ one side of the mess just leaves us with a smaller mess, but a MESS nonetheless. BOTH sides of the football need some major polishing IF we’re expecting to complete with TEAMS like the Pats & Chiefs (and the Saints in our own division for that matter). And oh BTW, Jameis Winston is NOT Brady or Brees or Mahones. Brady & Brees have MANY more years of experience doing what they do, and Patrick Mahones is a very rare talent IMO who’s benefitting IMO from having the perfect support system right now. It’ll be interesting to see how far the Chiefs go this year and to see if they can replicate it in the future. Am I the only one who thinks; Oh coarse I expect Jameis to be wearing a gold jacket when it’s all said and done. My bigger concerned is that he goes in as a Buc. Well Joe is comparing No. 3 to Roethlisberger, so I guess someone’s thinking “Gold Jacket”. the only club in NFL history to score at least 26 points in every. 35 pts per game. Yet with this defense under mike smith 35 ppg is still not enough to win consistently. Think about that. KC would have a losing record with our defense. But Winston can’t win. Okay OJ. Josh Allen has want we call pretty boy swag. The kid will be a game changer. Just look at how he bends the corner. I’m all for Oline help but those guys should be found in the 3-5 rounds and RB should be found in the 8-9 rounds. No wha I’m shaying? Great points. However , I think kappa still has a chance to play guard and/or right tackle. He was a rookie coming from D2 school. He needs time and adjust and bulk up that frame. Run game – no question. And can’t wait to see this offense and what coaching can do for Jameis ‘s game cause otherwise it could be wasted with Arians 3 year coaching window ? And just FYI-you have a gold jacket believer sitting right next to you. They need oline man , dlineman and corner so bad. Yes Irv I fully expect Jameis Winston to receive a gold jacket from the folks in Canton in the future. The fact that you point out this very article how basically the rest of the entire team needs an upgrade should answer your own question. We need to work on the trenches during the draft……probably a Dlineman first then two Olinemen……if we trade back (just a bit) we may be able to get some really good players. We should be able to pick up a strong RB & CB in FA…..
draft a more accurate and smarter qb with the ball. Ben shut up with your hate. Jameis is better than any of these scrub QBs coming out this year by a wide margin. Go root for the Titans! @ Ben – you have not a clue. Jameis isn’t going anywhere and BA is going to turn his career around. Free Agency should be devoted to signing a RB like TJ Yeldon and bringing back Barber as well which both should come at a bargain. Also sign another veteran LB as well as bring Alexander back which will eliminate any talks of Grimes returning for big money and it may cost us Gholston and Conte as well in terms of staying under the cap not counting Glazer loot because they obviously have more money than the league will allow to be spent and are willing to spend to which does make them great owners. I think a lot of big money players can be kept around for the next two seasons though especially if they restructure talking bout GMC on that one and Kwon returning on discount for two seasons as well as Hargreaves. If we can pick up Kareem Jackson playing opposite Davis with an additional safety like a Thomas or Mathieu with the addition of an edge rusher like Ansah the defense should be fine. If they play hybrid wouldn’t they need another interior lineman? I remember a few years back the chiefs didn’t score even one td by a wise receiver. Quite an impressive turnaround Coach Reid. Hopefully Arians and staff won’t have a drop off and will get the most out of our offense and introduce the concept of running the ball. No to Grimes, Hargreaves. 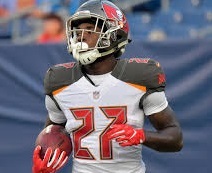 Make Evans a nickel, sign Thomas or Mathieu keep Andrew Adams ( he was solid and in limited time actually led the team in PD) Add a veteran corner like Kareem Jackson. I guess you have to re-sign Alexander as Beckwith is most likely done. Yeah Josh is a stud. I dont see him there at 5. Not in todays nfl. I wouldnt be suprised if he goes over Bosa.